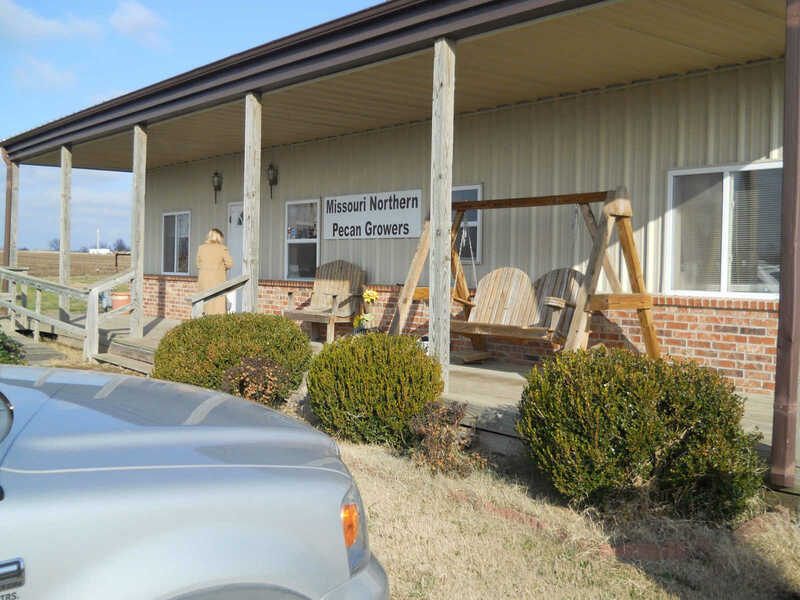 Missouri Northern Pecan Growers in Northeast Nevada keeps six employees year 'round, processing 500,000 pounds of pecans and shipping to all 50 states and numerous foreign countries. 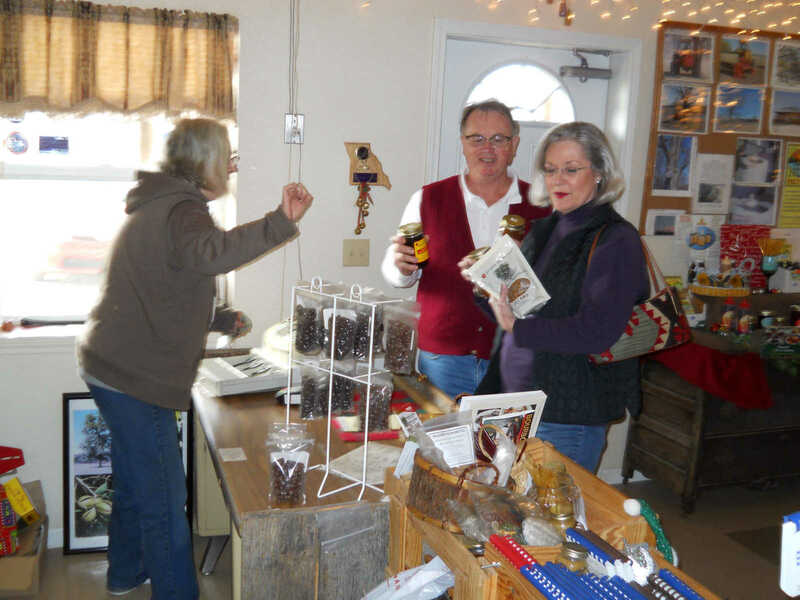 Clint and Janet Kraft check out with Christmas pecan delicacies at the 3400 N. Industrial Parkway plant. With them is Retail Store Manager Susie Kimmell. 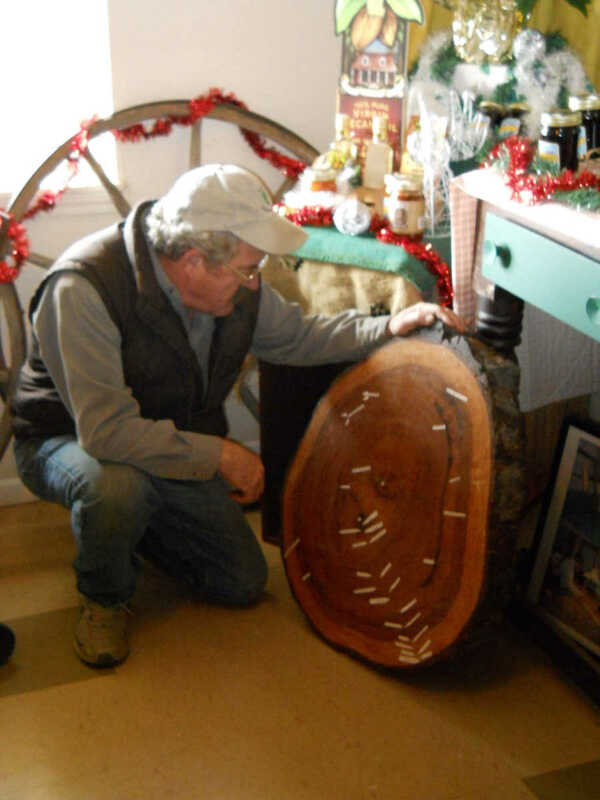 Drew Kimmell shows a section from a 130-year-old pecan tree cut in Vernon County. He had been pointing to a tag in the middle indicating the era of Jesse James' death in 1882. 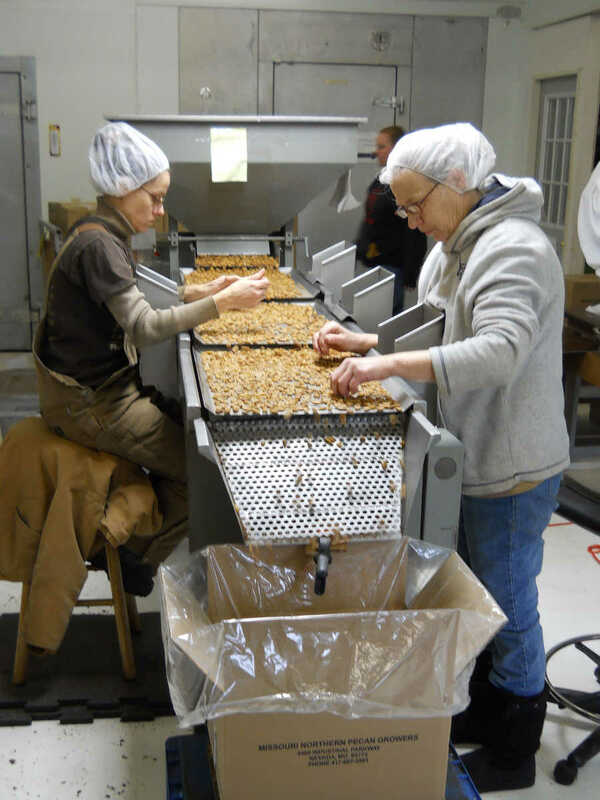 Missouri Northern Pecan Growers employees Taramitta Collins, left, and Jerri Jones give their Nevada company's product a final going-over on the northeast side of town. 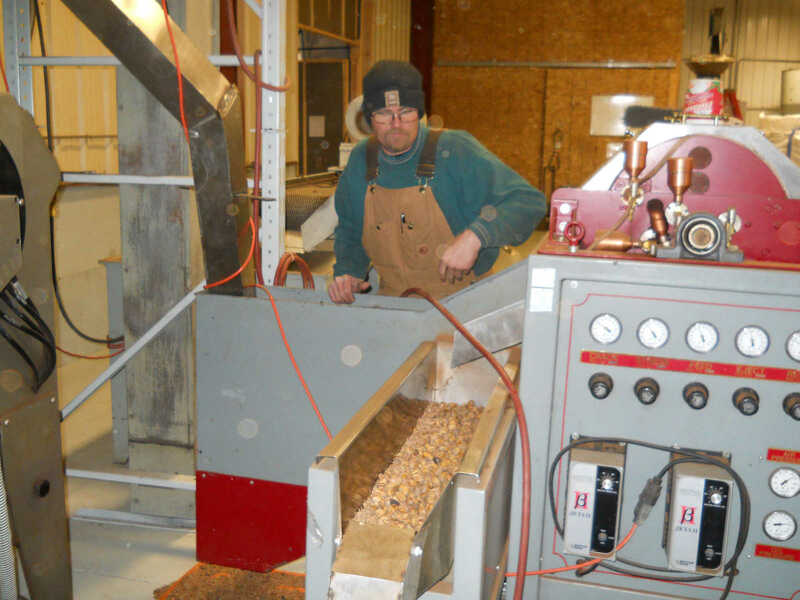 Alan McCale operates one of the several expensive machines that's used in the production process at Missouri Northern Pecan Growers plant, which has been in operation since 2001. 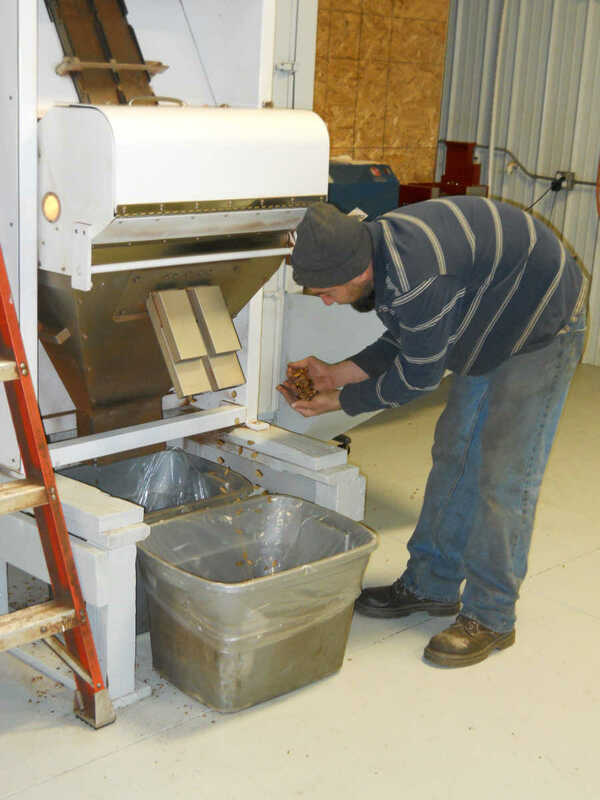 Chris DeSpain checks freshly harvested pecans being processed at Nevada's Missouri Northern Pecan Growers plant, where 35 to 40 Vernon County producers take their crop each fall and early winter. 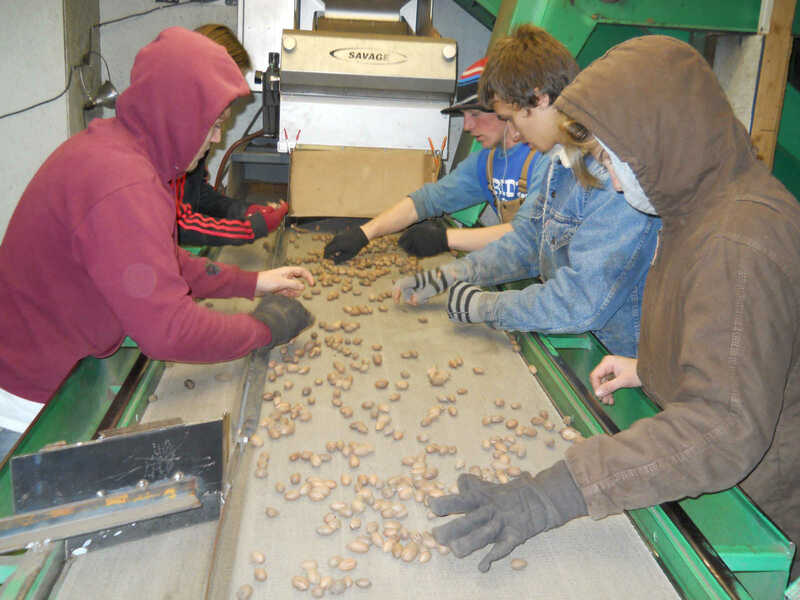 A crew does initial processing at the Missouri Northern Pecan Growers plant, which represents a $750,000 investment by five original partners, not counting inventory. 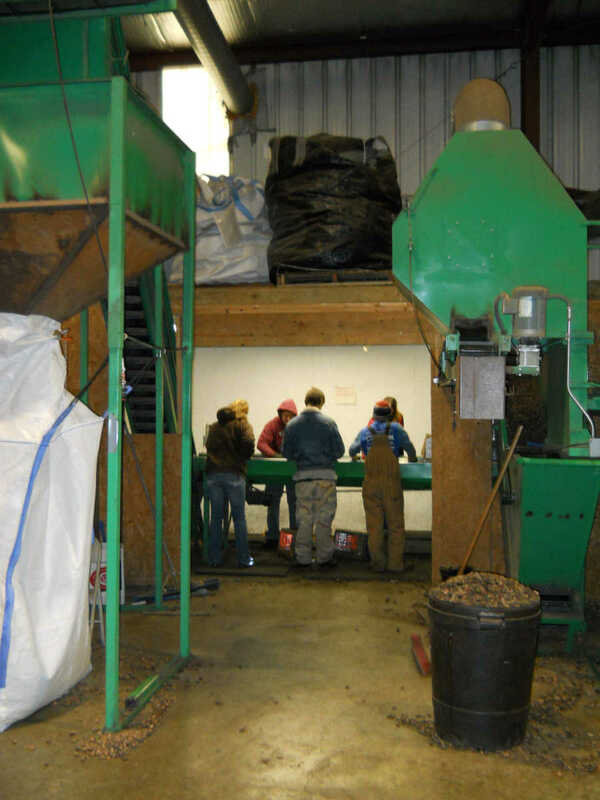 Young Vernon Countians apply teamwork to separate pebbles and rocks from organically and traditionally grown pecans at the plant. 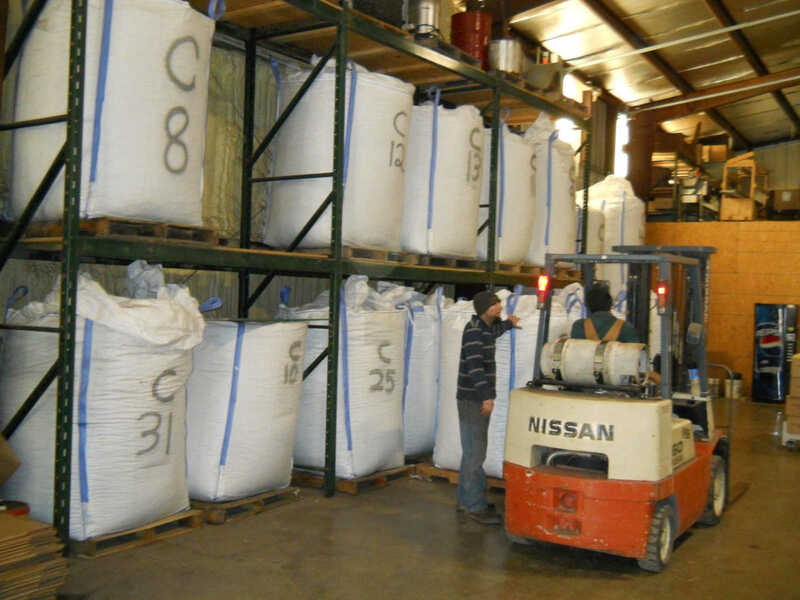 A retail store proves popular at a Nevada plant that ships 500,000 pounds of pecans each year to all 50 states and a number of foreign countries. Chris DeSpain, left, and Alan McCale put in a busy shift. Alongside them are containers of traditionally grown pecans, which are about 20 percent of production.